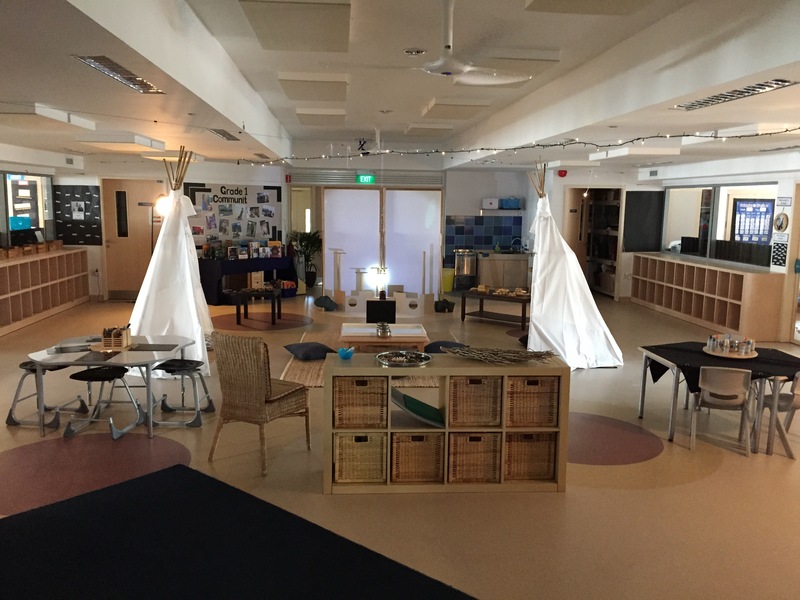 As a classroom teacher, one of the most exciting aspects of starting a new school year was organising the classroom learning spaces. Where would the desks go? Can everyone see the board properly? Can everyone move around the room easily? While I took a great deal of time thinking about the physical objects, I didn’t spend as much time thinking of the use of display areas in my classroom – how students would learn best using the materials selected for display. The classroom environment truly is The Third Teacher. 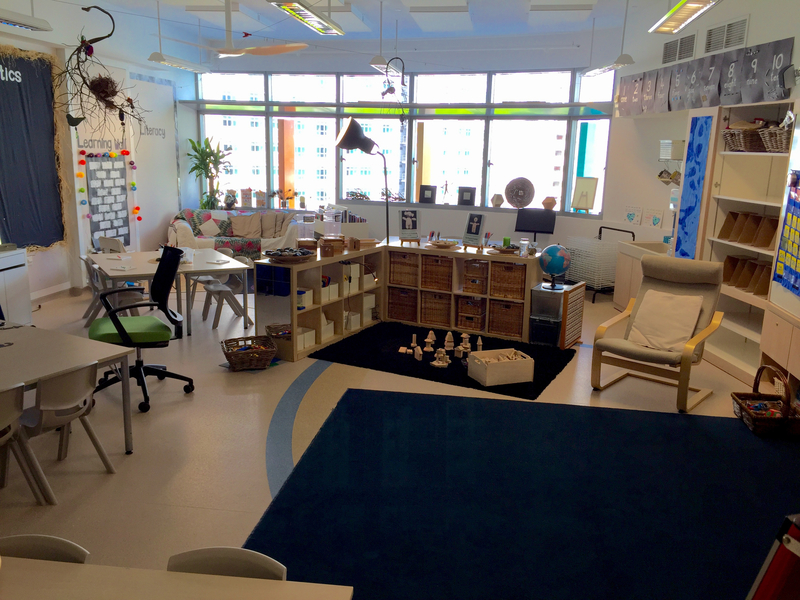 As my love and appreciation of design has developed, I have noticed those who make a considerable effort to consider an holistic view of classroom design. Physical space, classroom displays, learning opportunities, student preferences, movement of people – all contribute to an engaging learning environment and a positive learning climate. Effective teachers are catering for a r ange of learning preferences in their classrooms. Jaki Graham, Grade 3 teacher has a combination of traditional group desk formations, standing up desks, low tables with cushions, and bean bags in her class set up this year. “I want students to be able to choose a space to work at which suits them best,” she said. 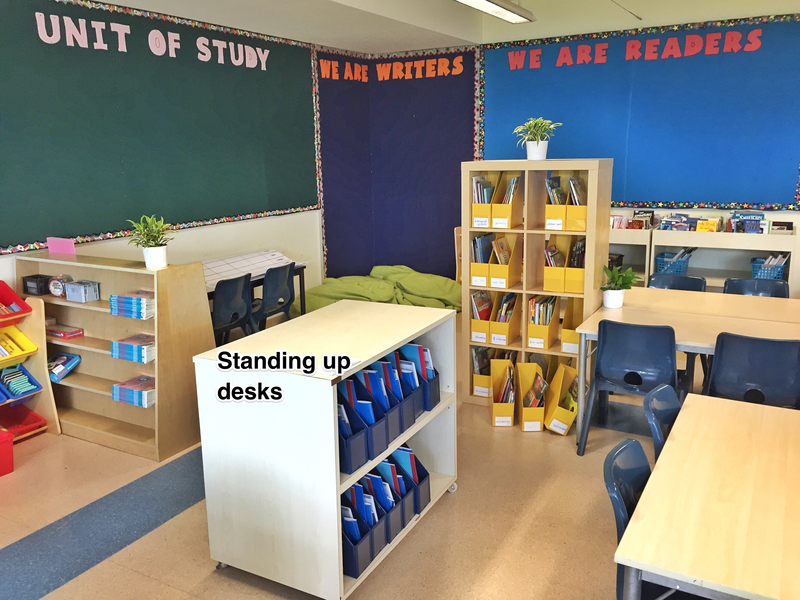 Fellow Grade 3 teacher Kim Duffy experimented with stand up desks last year, and she noted how much of a difference it made to her more fidgety students. “It really helped them focus,” she explained. Nicole Tripp, who teaches Grade 4, has also provided the option of stand up desks for her students (see photo, left). Traditionally, a comfy chair was a privilege only given to teachers. Nowadays, we recognise that, like adults, all learners enjoy working in comfortable environments. 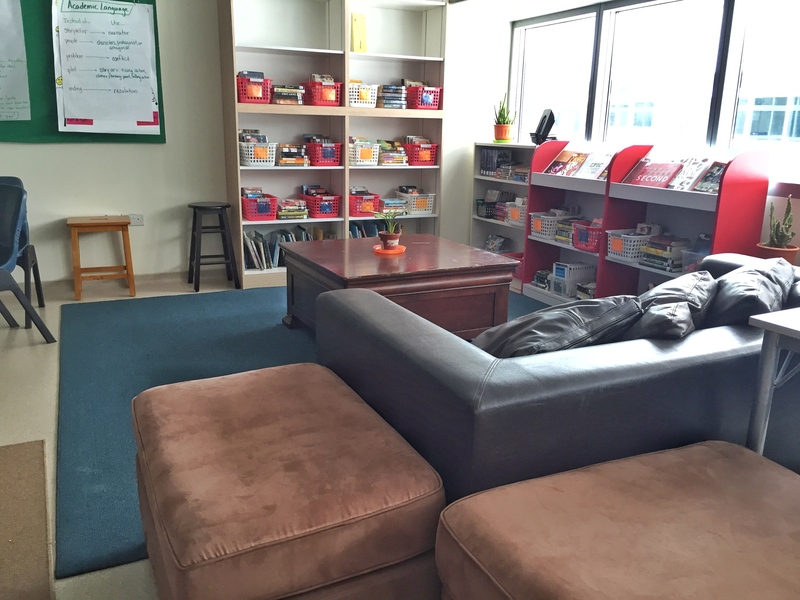 Many teachers, like Anne Marie Chow, Middle school Literacy Coach, organise armchairs, lamps, or couches in their classrooms, which make them feel more like homes than classrooms. Heather Kingston, Head of Grade 6, has Turkish carpets, armchairs, as well as bright red couches and cushions, which gives her room an inviting feel. 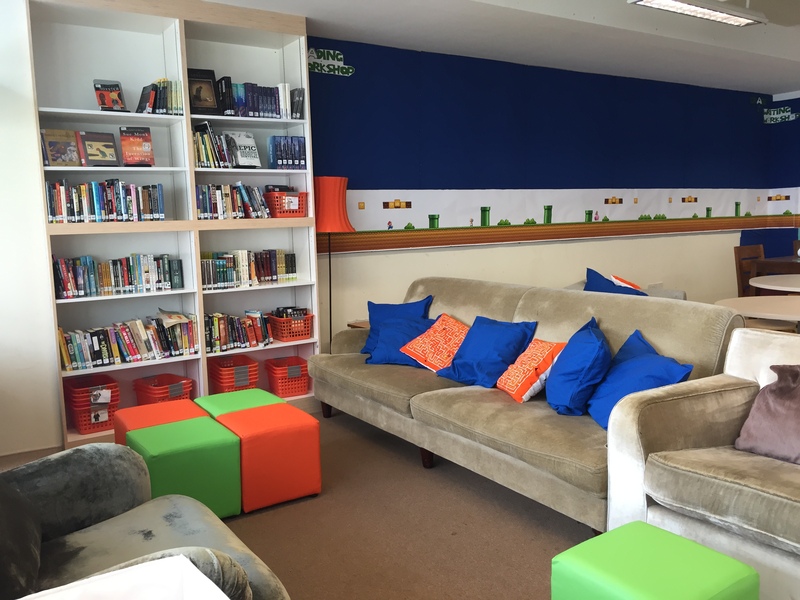 If you were a student in these classrooms, you’d want to settle in some of these places, surely! 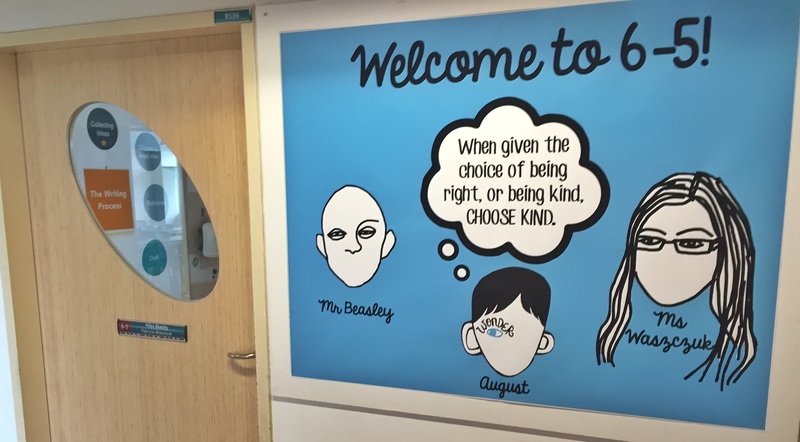 Some teachers select a theme which sets the tone for the classroom experience in the year ahead. Middle school English teacher Paula Guinto has taken this approach for a number of years. This academic year, her theme is “Level Up”. 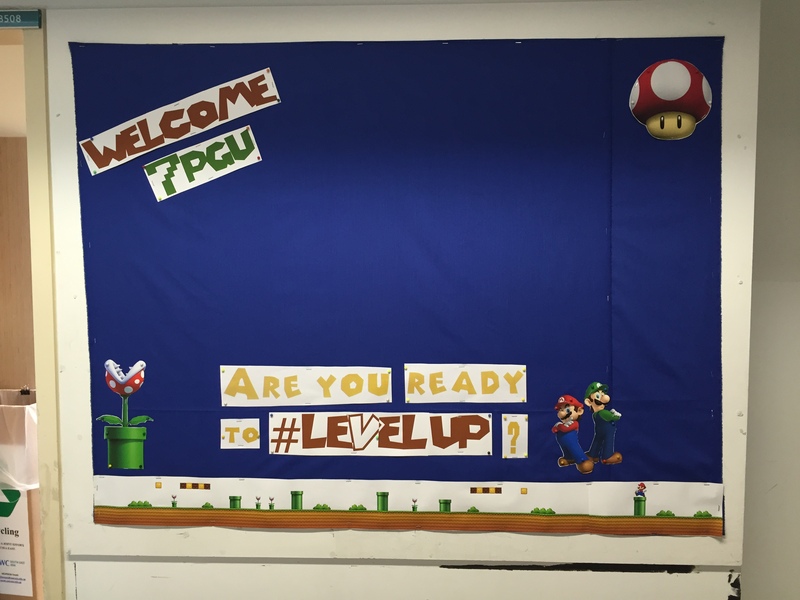 Her classroom features retro-inspired game elements, from Mario Bros to Pac Man, and invites her students to level up their thinking. Paula shares that for her, the theme is a chance to set the tone and allow her to focus her energies on teaching and learning. Middle school English and Humanities teacher Miles Beasley has worked with themes for the past 2 years. Each theme was carefully chosen to pass on a message about the year ahead to the students he teaches. Last year’s theme was around Dr Seuss’s book “Oh the Places You’ll Go” which aimed to create a sense of excitement about the first year of Middle school for his Grade 6 students. This year, Miles has selected another of his favourite books – Wonder, by R. J. Palacio – to set the tone. It says to students, in this place, we care about each member of our community. How we treat each other is one of the most important aspects. His teaching partner, Trish Waszczuk, helped select some of the precepts that featured in the book, to be made into large posters to inspire the students. Great teachers like to get students involved in design, rather than have it solely be a teacher-directed experience. Middle school English teacher Jabiz Raisdana had his mentor class this year put together a shelf to put plants on. 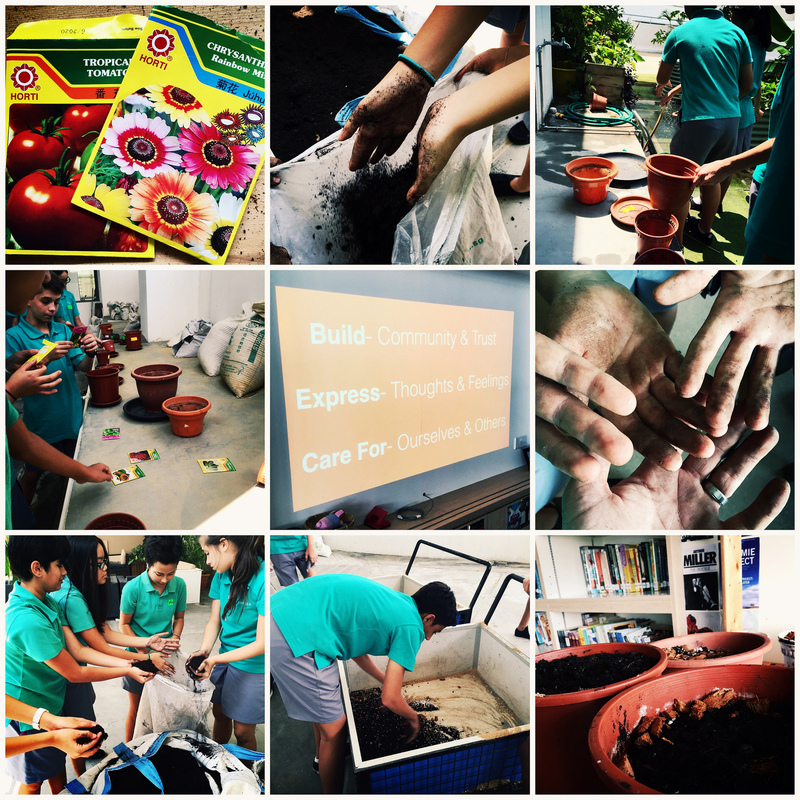 They planted seeds, and got their hands dirty, providing a real sense of ownership in the class decor. This community building, participatory environment reflects Jabiz’s approach to teaching and learning. Miles’s Wonder theme also invites student participation. He plans to kick off the year by having students make Wonder-style self portraits using the iPad, so they can contribute their images to the blank walls, to make it really feel like their classroom. 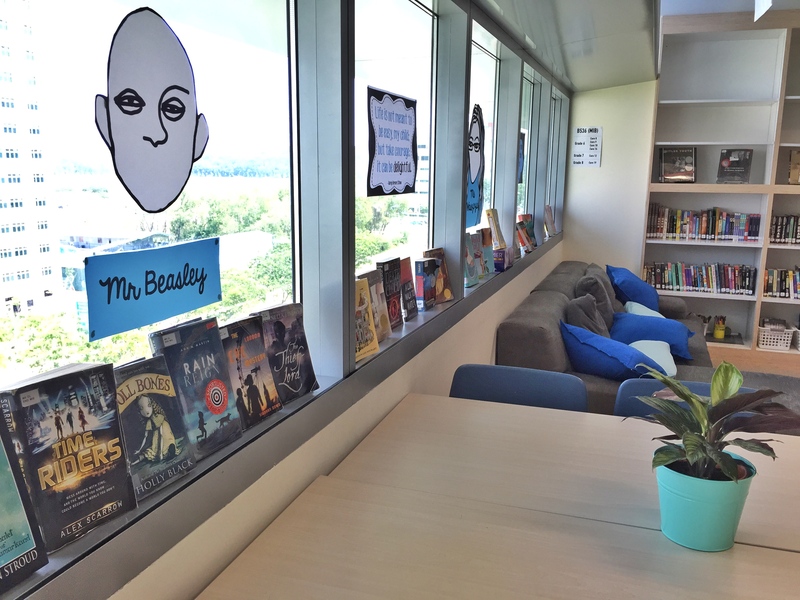 Grade 1 Head of Grade Ben Morley and his team create inviting displays that will encourage student exploration and creativity in their shared Pod area. Each new unit gets a brand new display. 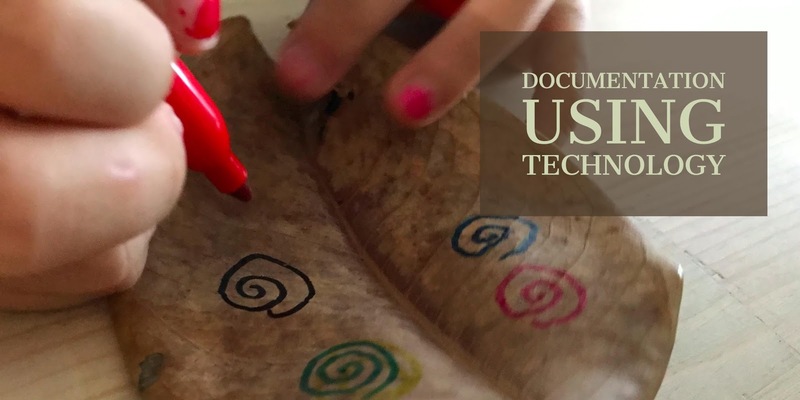 These Reggio inspired pod displays spill over into the classrooms as well, with natural wood and other materials featuring. There is something about having living things in classrooms that make them feel more real. Increasing numbers of teachers include plants in their classroom design. 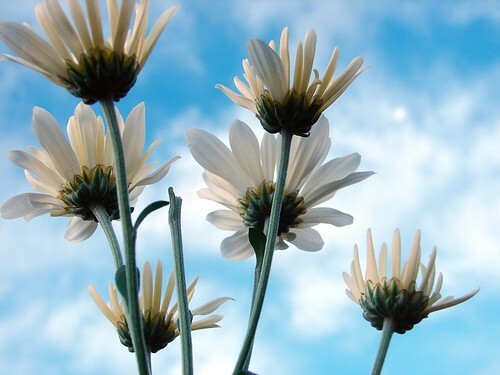 Aside from their obvious decorative and aesthetic qualities, plants have been used as the inspiration for poetry writing, and lessons on responsibility. As a parent and a teacher, I understand the effort that goes into the decisions around classroom set up, and appreciate the care and concern it shows for our children. They are truly in great hands. 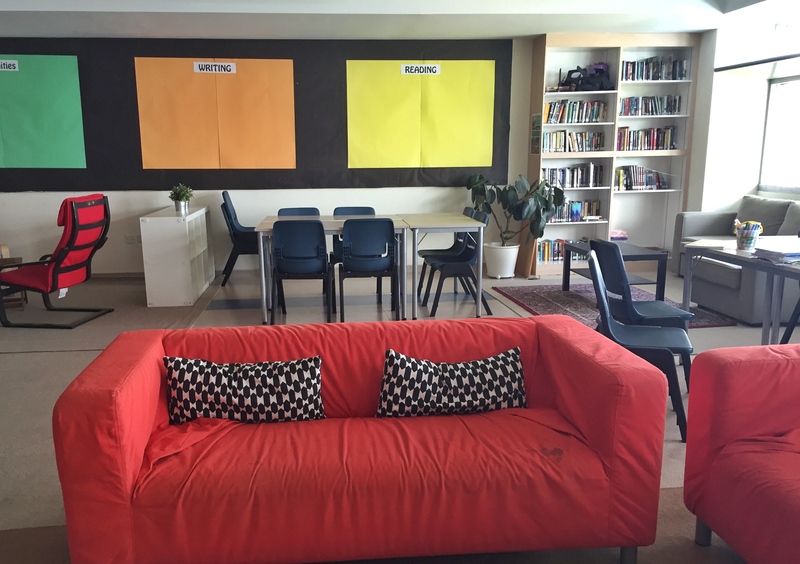 20 Classroom Setups that Promote Thinking – This blog post outlines a number of different approaches teachers can use to set up their rooms. There is something for everyone in here. Classroom Makeovers to Engage Learners – This article from Edutopia shows a collection of 5 minute videos that show different classroom set ups. Ewan McIntosh speaks about the 7 Spaces of Technology in School Environments. 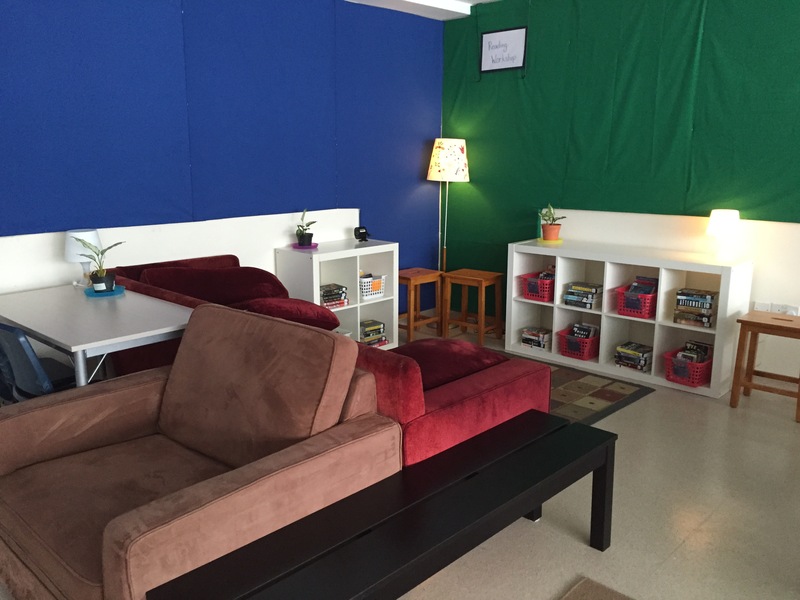 I would love to hear your thoughts on great classroom spaces. I thought it was a pretty amazing drawing, and I was equally impressed that this 11-year-old had found something he wanted to learn and knew exactly where to find the information that would help him. I personally use YouTube a lot for learning all sorts of things, including new recipes, using new software, and looking for help with existing software. I remember when I first discovered how useful it was – it was a revelation! 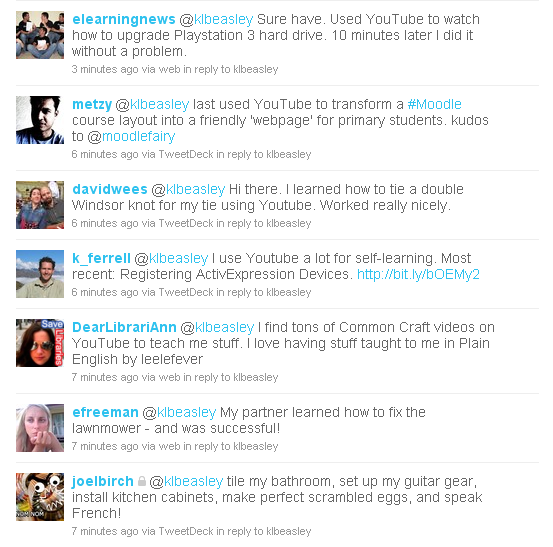 This is just a sample of the suggestions my PLN came up with – the Tip of the Iceberg (if you will excuse the pun). It’s obvious great self-directed learning is happening at home for many people, but are our students, parents and teachers aware of what can be learned through YouTube? Jeff and Kim at ISB had parents search ‘how to’ videos on YouTube for things they were interested in during a parent workshop on Social Networking. What a great way of informing parents about the potential uses of YouTube! It would be great to see students have an opportunity to use YouTube to help further their learning in a variety of areas too. There are videos about spelling rules, times tables, taking action, learning French, learning the recorder, learning punctuation, how to cook, throwing a rugby ball, how to draw cartoons, how to make stop motion animation… The list goes on. Why aren’t we encouraging kids explore ways to help themselves? 1. What should you do if you come across something that makes you feel uncomfortable? 2. 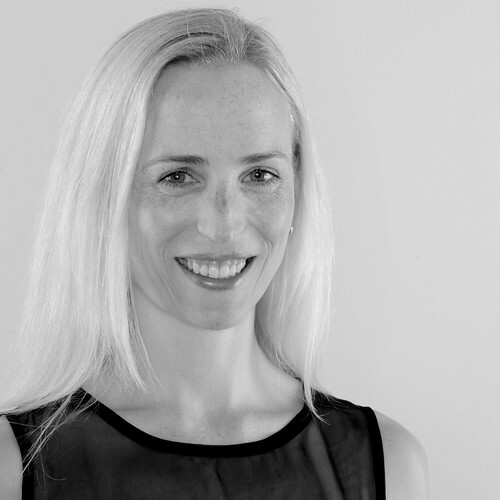 How can the careful selection of keywords help you find the most relevant content? Our Grade 2 students inquired into the origins of food products for their unit From Field to Table, and watched YouTube videos of how different foods were made (such as this one on Fortune Cookies) to augment their print research. It was especially good for those who had difficulties reading. Kathy Epps at ISOCS has YouTube playlists for videos that highlight the PYP Attitudes, e.g. this playlist for Respect. There are lists of books suitable for the PYP out there, but it’s great to see YouTube being used as a resource in a similar way. Many of us use the Common Craft videos on YouTube to introduce applications or ideas to students or staff. Their simple and effective method of explanation appeals to all. How have you used YouTube as a learning resource? 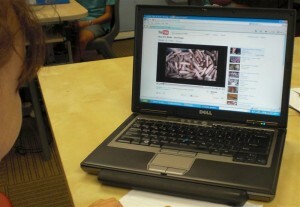 Would you encourage students to head to YouTube to learn more about things they are interested in?